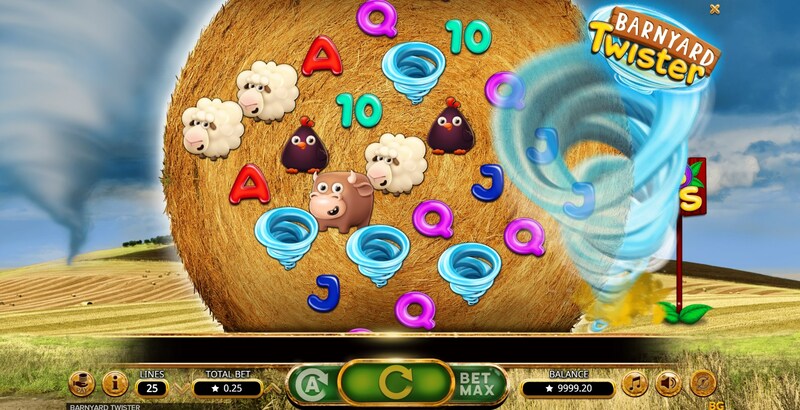 In the slot Barnyard Twister from the developer Booming Games, you have to help the animals avoid the impending element. Playing for free at the Barnyard Twister slot machine you will find yourself on a farm, in the very epicenter of a tornado. 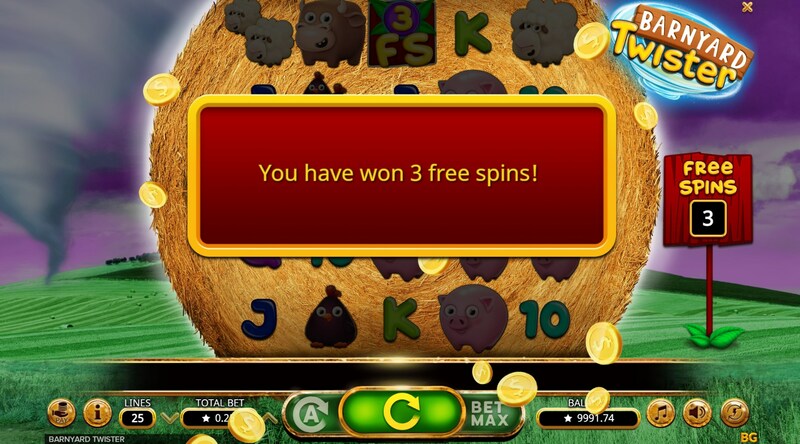 In the Barnyard Twister slot you will find a playing field of 5×5 and 25 lines, on which your winnings will be formed, as well as bonus features, including Free spins, consisting of three free spins and a Rotator. The action of the game took place on the field, over which thunderclouds hung. Behind the game drums, an approaching tornado is visible. The slot drums are located right on the haystack. The symbolism of the game fully conveys the farm theme. You will meet the cute inhabitants of the farm, cows, pigs, sheep and chickens, as well as the names of playing cards from 10 to A. 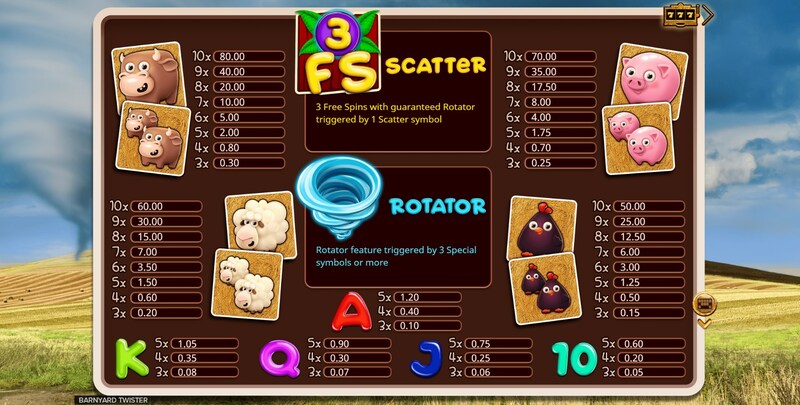 Special characters are tornadoes – which starts the Rotator function and scatter (FS) activates the free spins function. Rotator function – starts when a minimum of three characters in the form of a tornado falls on the playing field. The game reels will turn clockwise several times, and you will have the opportunity to form new winning lines. Note that during the rotator function, the tornado image will become a wild symbol, and will be able to replace the missing images. 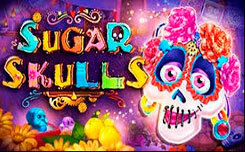 Free spins function – starts when only one scatter symbol appears on the game reels. 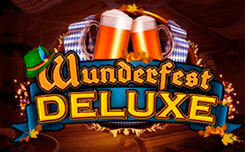 You will receive the right to participate in three free spins. Of course, this amount may seem very small, but don’t be discouraged, as the scatter symbol drops out quite often. Also during free spins, the Rotator feature will be active, which will increase your chances of getting a good prize. Playing for free in the slot Barnyard Twister from the developer Booming Games, you will not see something new, but the model definitely deserves the attention of users.